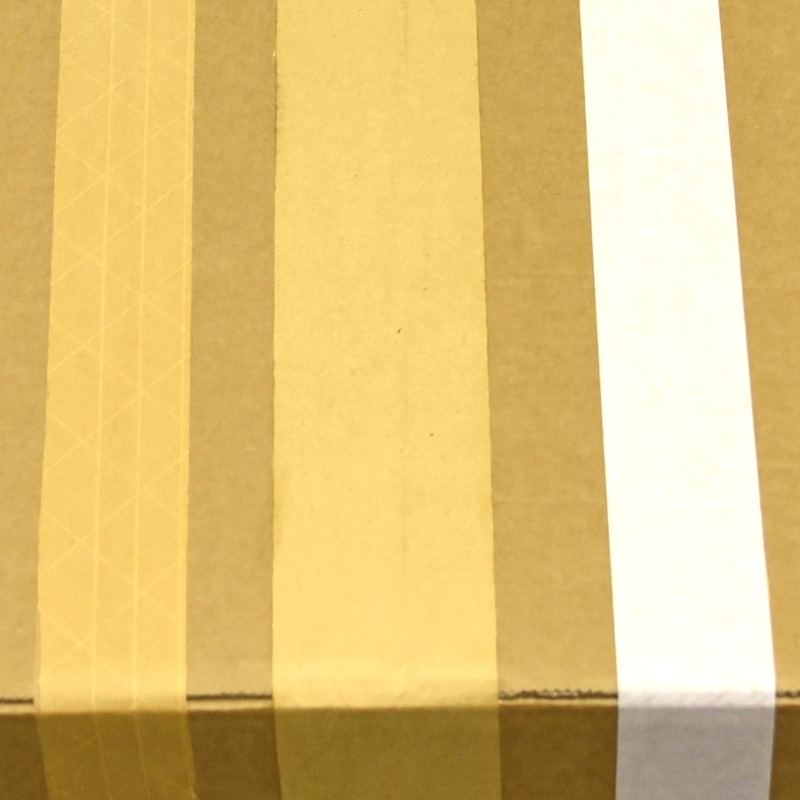 Gummed paper tape is an excellent way of securely sealing cartons in a more eco-friendly way. Available in different widths, buff or white paper and can be custom printed to enhance appearance and brand awareness. Gummed paper tapes are excellent for sealing cartons and other materials in a more environmentally friendly way, whilst offering the same level of security and strength as a standard packaging tape. These tapes, being made from paper, are perfect for the companies that have a more environmentally friendly image and the tape can even be recycled with the carton. The water – activated adhesive creates a very strong bond and actually “welds” to the carton, adding to the overall carton strength. 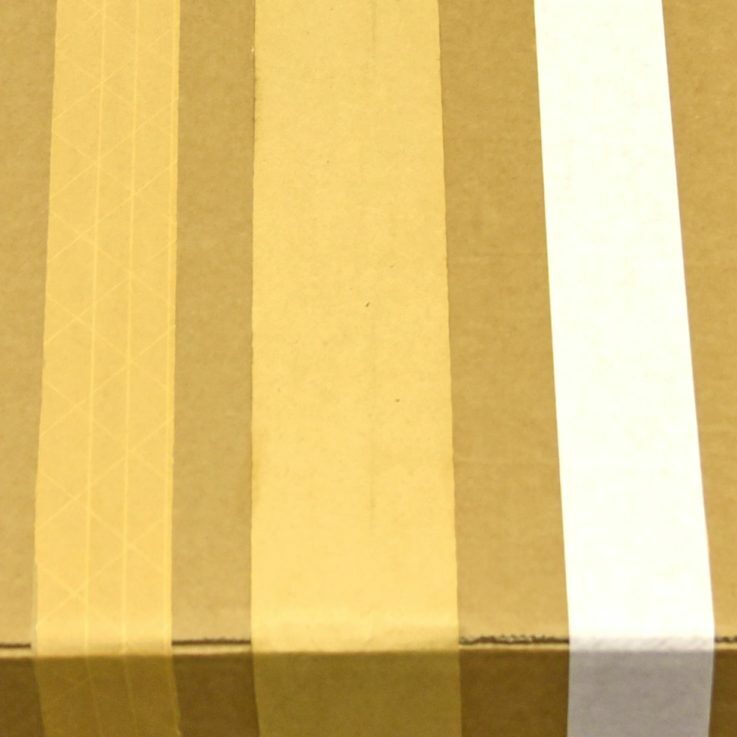 This also helps to reduce parcel pilferage as the tape cannot be re-sealed once it has been removed from the carton, making it easier to detect any sign of tampering. 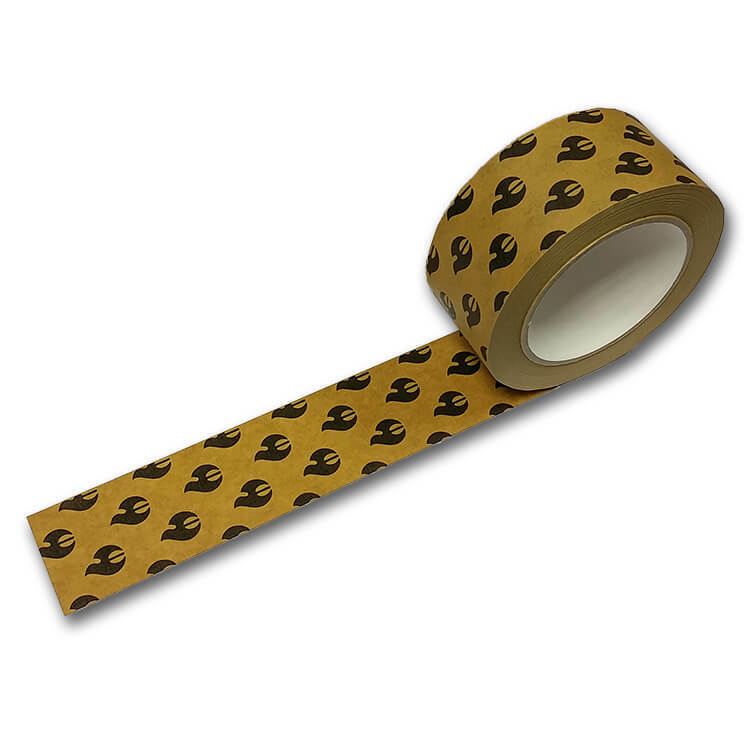 This range of gummed paper tape includes many different widths and with buff or white paper. 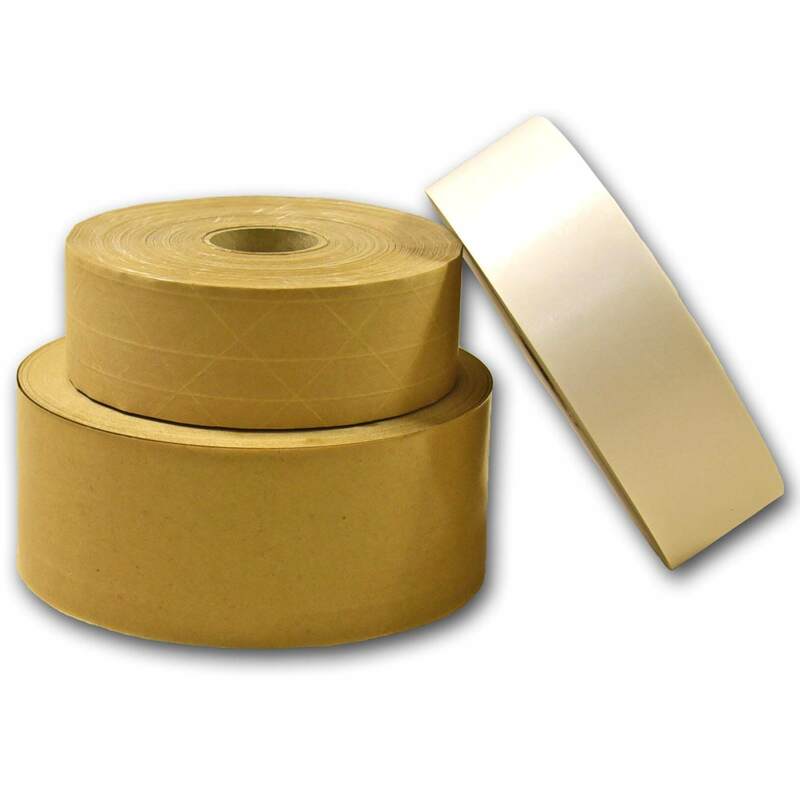 Also available with fibre reinforcing, a 3-way glass fibre yarn that hugely increases the strength of the tape for when that extra parcel security is needed. High-quality print options are also available, providing an even more professional image and helping to create increase brand awareness or to deliver parcel handling messages such as “Handle with Care”. 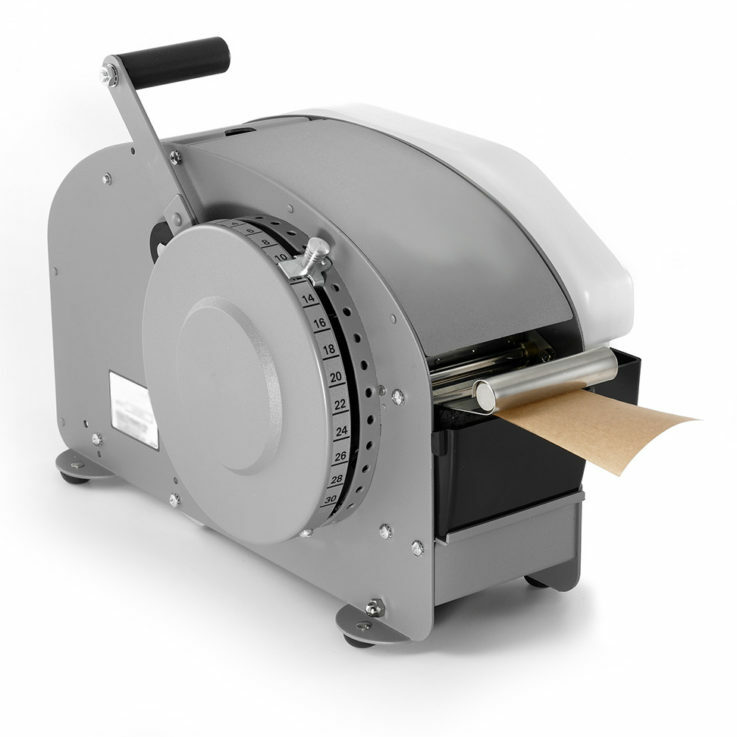 We also supply a range of paper tape dispensers to suit different usage levels. A range of manual desktop dispensers can be used for a packing line that has many varying size parcels or a fully automatic dispenser is more suited to more consistent parcel sizes, where the machine will moisten the adhesive, dispense the tape and cut to a predetermined length at the push of a button. This helps to reduce wastage and makes it easier for new staff members in the packing line to seal the cartons accurately. These are just some of the reasons that gummed paper tapes are becoming increasingly popular with e-commerce companies such as Amazon. 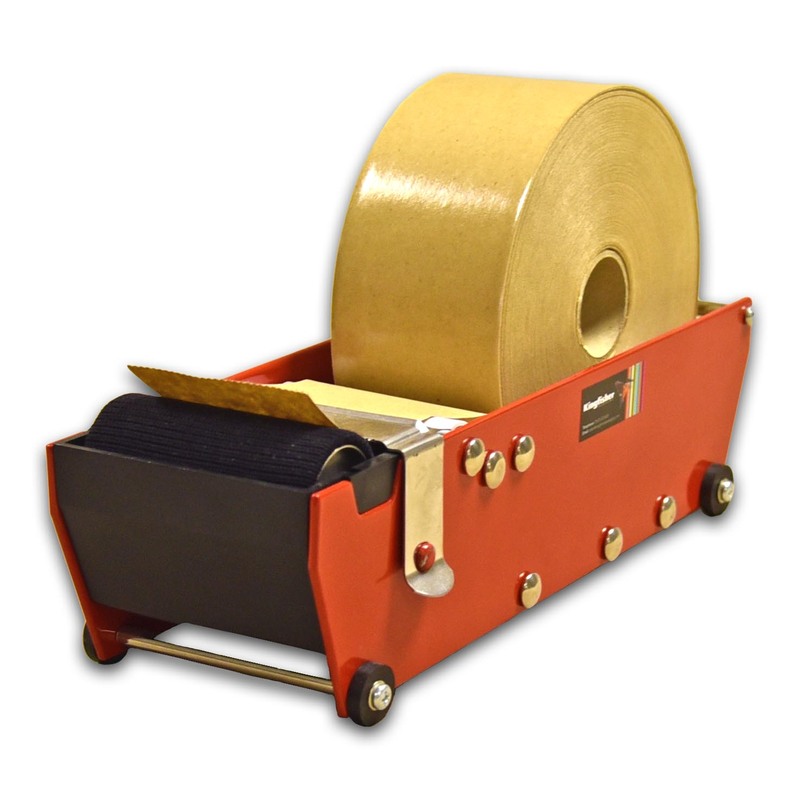 Contact us today on +44 (0)1823 653400 to discuss your needs or to find out more about this excellent range of tapes.